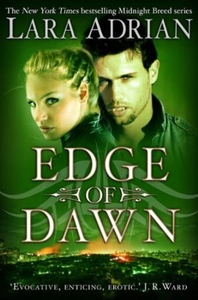 Twenty years after First Dawn - the morning that followed a blood-soaked night where Mankind learned that vampires lived among them - wars and skirmishes continue. Peace between humans and the Breed seems elusive, but the Order and their allies will not rest until it is won. For Mira, raised with the Order from the time she was a child and now the formidable captain of her own team of warriors, the fight is personal. War with mankind has cost her a great deal - the life of someone she loved dearly. Vowed to avenge his death, Mira blazes into every battle like a Valkyrie - until an unexpected encounter with a rebel leader brings her face-to-face with a startling truth, and a betrayal that will cut through her every defence... straight to the core of the wounded woman whose faith has never been more tested, nor her heart more deeply torn.